I thought it might be fun to list some of the places I regularly go fishing around Calgary at, even though they aren’t exactly super amazing hotspots. I wouldn’t give out any decent hotspots I’ve found anyway. I don’t drive, so fishing around Calgary can be a little annoying without a vehicle, but it’s certainly possible via Calgary Transit, and with friends that do have vehicles and don’t mind being seen with you. 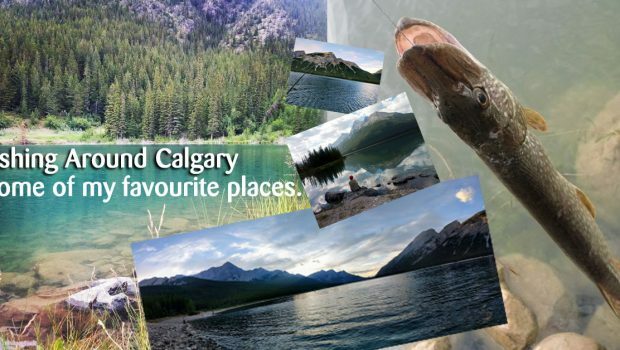 The fishing and camping around Calgary are fantastic and worth checking out. Ice fishing around Calgary is really decent as well, especially in the Rocky Mountains just a short drive from Calgary. There are numerous travel companies out there that will take a group of people out ice fishing, provide all of the gear and expertise, including a heated ice fishing shack. 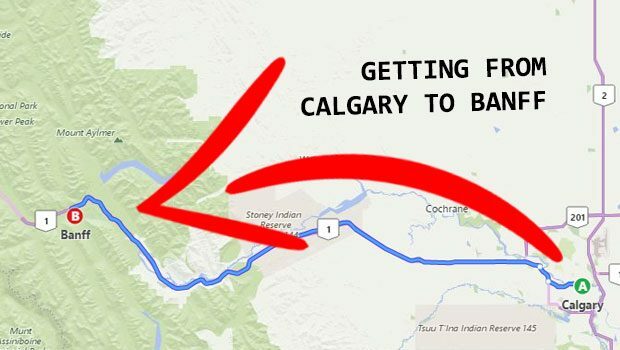 Great thing to do for tourists visiting Calgary, or area. I’ve yet to use one of them, but if I do, I’ll do a full write up blog post on my experience. Read below for a few of the places I’ve been. Check the comments at the end for more suggestions. To get started, here’s one of my favourite photos. We caught zero fish but had a great time out. Spray Lakes area fishing with my buddy Louis. Love Alberta parks! My favourite place to fish in Calgary, it’s easily accessible by transit or by automobile, has lots of fish, and is gorgeous. You can even rent a canoe for the whole day, which takes fishing to whole nother level. The cost to rent a canoe is $35 for the day, and includes life jackets and oars and use of the dock. Check out CalgaryCanoeClub.com for info. Highly recommend doing this in the summer, canoeing and fishing is a great way to spend a day out. I’ve only pulled trout and pike out of small to medium size, but I’ve seen people land huge brown and rainbow trout by trawling. Pretty much any area of the lake from shore is decent, though some have more depth and deeper drop off, which is where some of the bigger fish hang out, so look for that. My favourite area of the Glenmore Reservoir, is just beside Glenmore trail, which runs down the middle of. It’s pretty deep, easy to get to by bus, and is far enough away from the Heritage Park tourists that you won’t really be bothered by anyone. Most of the fish I’ve caught from the Glenmore Reservoir were done so using spoons. Rainbow trout (top) and whitefish. The first trout I ever caught at the Glenmore Reservoir, a nice Rainbow trout (top). The other one is a Whitefish I had caught at Travers Reservoir in southern Alberta. Both were caught using a 5 of diamonds spoon. Fish sure love that lure for some reason. Did you know Len Thompson spoons are made in Alberta? That’s so cool. This is a pike fish. I caught it after a long day of canoeing around the Glenmore Reservoir with a couple friends. We were out there from like 8am until 4:30pm. Just as we were about to pack up and paddle back to the canoe club, this guy snapped up my lure. It was caught using a black grub, which sort of looked like a leech. They’re kind of difficult to clean, but it can be done. Check YouTube for tutorials. There are multiple places along the Bow River to fish, and each one has their own set of rules and limits. Make sure you know the regulations for the particular stretch you’re thinking of casting into! My favourite place to go fishing along the Bow River is right under the bridge, beside Prince’s Island Park. The water here has a really nice current, which keeps the lure out there longer. Using spinners, I’ve caught some nice brown trout from this spot. This portion of the Bow River is closed October 1st – November 30th. I have to say, it’s pretty awesome to be able to just go fishing while living downtown. The Bow River is actually kind of tough to catch fish in, I’ve found. Many of my lures are permanently stuck between rocks and caught up in debris. I really need to get some fly fishing gear. Caught the above guy using a small spinner. I forget which one exactly. 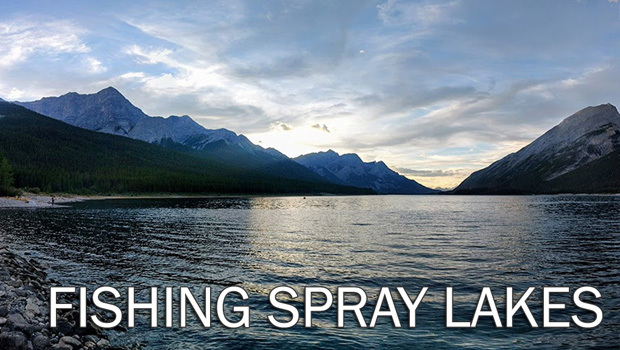 Ah, Spray Lakes. I’ve fished here so many times, been skunked 95% of them. Even without catching anything, one of my favourite places for fishing around Calgary. Last time I was there, hooked two small lake trout, but threw them back. Not sure if it’s just bad luck, or shore fishing is just difficult here. If you can get into a boat, the reservoir can run really deep, and there’s some huge lunkers just waiting for you. There is no boat rental place on the reservoir, so you’ll need to bring your own. Spray Lakes campground is a pretty nice place to camp. It’s not huge, though. In addition there are bears in the area quite often. It might not be the BEST place to go fishing around Calgary, but it’s one of the most beautiful, and not that far away. We’re so lucky to live where we do. This picture is from a few years ago, a couple friends and I headed out to Spray Lakes to ice fish. It was like 7am and -30’C. We didn’t have any shelter. We’re dumb. And this one is my buddy Louis (who has since moved away, boo). He caught a nice pair of Calvin Kleins. Lucky duck. Calvin Kleins, fairly worn and enjoyed. Just beyond Exshaw Alberta is Grotto Pond. It’s a stocked body of water, which is home to small-medium sized Rainbow Trout. It’s not very big and you won’t pull any record breakers out of it, but the area is just amazing and it’s a wonderful place to fish. Also, it’s the trail head for a beginner trail called Grotto Canyon. Other than fishing, it’s a great place to stop by and have lunch, if you’re passing through the area or heading back from Banff/Canmore for some reason. One of the downsides is, people tend to take more than their limit of fish. At least from what I’ve seen. Yes I did call report a poacher. I’ve never actually caught anything out of this pond myself, but hey I told you these spots might not be the BEST. Fishing around Calgary is something I really enjoy, whether I catch anything or not. This is a weird one. The fishing here is OMG FANTASTIC, but, you can’t keep any of them. Pine Coulee Reservoir is a little ways south of Calgary, and has a ton of Walleye. So many. People have mentioned catching 50+ in a day here. Problem is, they’re smaller and the regulations state you can keep ZERO of them. Update! Times have changed! The regulations now say you can harvest Walleye from Pine Coulee. Always always check the regulations before heading out, to any body of water. The reservoir is kind of ugly and not surrounded by mountains, but the fishing is just great. A really good place to take kids, especially if you’re in a boat. In addition to Walleye, there’s pike in these waters, but I’ve never seen one myself. I made a video of my time here. Only time I’ve fished Pine Coulee. Would love to go back. A bit of a drive, McGregor lake is south east of Calgary, just past Vulcan, but is one of the better pike fishing holes I’ve ever been to. At the north end of the waterway is a rock wall, which seems to have a really deep drop off, and there are plenty of fish to go around. One time we pulled a pike out of here that had a baby duck in it’s stomach. Pike fish fight so hard. Update! The regulations have changed, and you cannot keep any Pike from McGregor Lake. At least for the 2017 season. I’ve caught more pike out of Lake McGregor than anywhere. They’re all fairly big, and fight like hell. There are also Whitefish, Burbot and Yellow Perch, and Walleye as well. Note: at present time, you are not allowed to keep Pike or Walleye. You can catch them of course, but they must be released. The pike I’ve caught (and kept) were from prior to the regulations changing the limit to zero. Always always always check the regs before dropping your line! Here’s a video of my buddy cleaning one. She’s way better at it than I am. They have a lot of bones and need to be cleaned a certain way if you want to eat them. Personally, I don’t like pike myself, she loves it. I actually wrote an entire blog post on Lake Winchell, check it out here. Lake Winchell is a long stretch of a lake located just north of Cochrane, and southwest of Cremona. It’s a lake full of trout that runs along a tree line which is easy enough to get to, but you will absolutely need a pair of rubber boots to access it on foot. The grassy area around the lake is extremely squishy and wet, kind of swampy. Anyway Lake Winchell is a good place to hang out in the summer time trying your luck at the trout within. There’s a LOT of dragon flies and bugs and frogs around the lake too, so it’s decent for both casting reels and flyfishers. It’s not the deepest lake in the world, but very canoe friendly. During my time fishing here, a couple guys were bobbing around the water in pontoons. For more pictures and info check out my blog post on Lake Winchell. If you’re new to fishing and don’t have a lot of gear, or you’re looking to get started with fishing, here are some suggestions for the basics. My rule of thumb is the more tackle you have, the better. I typically only bring one rod with me when fishing, unless I’m going into some kind of multi-day camping trip (you don’t want to be stuck out there with a broken rod! bring a backup). I have one large main tackle box I keep everything in, and a smaller easier to transport mini tackle box, for hiking trips and things like that. Be warned thought, buying fishing gear can be addicting! Amazon prices for things are cheaper than in most stores, including Walmart. Free shipping on most things. That said, do check Walmart for sales and clearance! ALWAYS GET A FISHING LICENSE! This is a no brainer. You’ll need a rod. Either a fly rod or casting reel. Ice fishing? For kids? A tackle box. I recommend a large ‘main’ box, and a smaller portable tackle box. It’s always a good idea to have extra hooks, line, swivels, clasps, weights, splitshots. For yourself, and fishing buddies. Tools are a must. Get extra needle nose pliers, a fish hook remover, fish handling gloves. If you’re going to eat what you catch, a quality sharp fishing knife is important. Learn a good fishing knot! Don’t buy anything for this, just check YouTube. I highly recommend the Palomar knot, it’s what I use. I also suggest you get some Purrell for your tackle box, to disinfect those fish hook pokes. This is only the beginning. As you learn and get more into certain fish and methods of fishing, you’ll build your collection organically. It shall be mighty. Fishing around Calgary and Southern Alberta opens up lots of challenges with all the different species of fish we have here. What works for pike won’t work for trout! Know what you’re fishing for, plan accordingly, do research a head of time (YouTube!!!!!) and you’ll increase your catching and overall fun. It’s so much fun to land a fish! If you have any suggestions for other gear, drop it in the comments below! Where do you enjoy fishing around Calgary and southern Alberta? I didn’t say wheres your best spot, just one that you enjoy 🙂 Tell me in the comments below. Hi, can anyone recommend a lake where I can rent a small fishing boat and motor to fish for a day or two ? If you are looking for Pike then I recommend trying Dalemead Lake. If you go to where the canal is, you will easily catch quite a few Pike – and if your lucky, the bigger Pike are lurking around in there too! 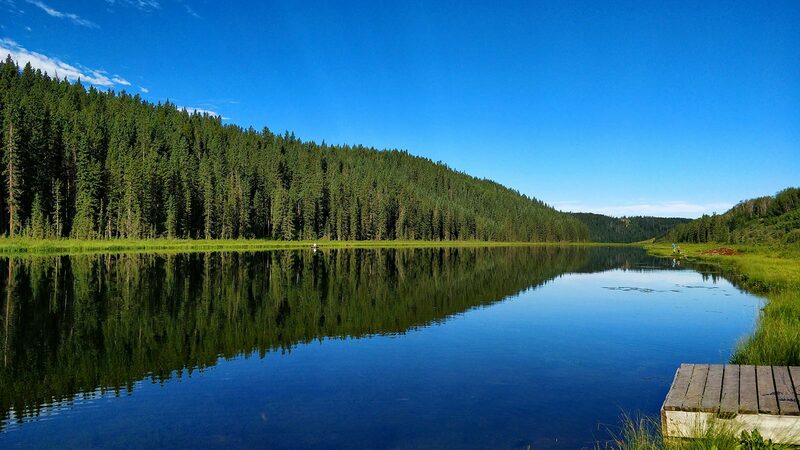 We also have Eagle Lake which is close to Strathmore (Its like an hour drive from where I live). Supposedly, there are big Pike there because there is a 0 keep limit on them. We also have Pine Coulee which is famous for its Pike and Walleye. However this lake has been extremely heavily fished this season so you wont catch nearly as much fish as you would years ago. Then there is also Chain Lake which has been mentioned above already – I would go here in the winter as ice fishing here is very fun! We also have Twin Valley Reservoir which is like an 1hr and 20 from where I live. My favorite lake, very beautiful! Now getting to the good spots requires a little off road driving and walking through grass that is taller than you but it is very worth it. Big Pike at this lake and always an adventure. If you have a boat then definitely would recommend giving this lake a shot. Sweet article! What sort of setup do you most often use? I want to get into fishing, but I haven’t been since I was a kid. Any gear recommendations for a beginner? Honestly just a basic rod with a basic spinner. I literally JUST bought a new one from Canadian Tire, for $32. You don’t need to spend much at all to get started. Hit Wal-mart or CT, or Bass Pro if you have the money to spend on something brand name (worth it). Then just some tackle and a license, and that’s about it. $50-$60 I’d say to get started? Not too bad. Bass Pro Shops is the best place ever. If you’re feeling totally clueless, their sales staff are extremely knowledgeable. You are not able to keep either. Both species are catch and discharge as it were. McGregor is additionally not some portion of the unique walleye permit program either, so by no means can Walleye be gathered. A few years ago McGregor had a 3x limit for Pike (I think any size? can’t remember). Camped there once, fished all day and night, loved it. Have yet to ever watch a Walleye from there though. I won’t give a way a spot but I feel like saying a lake is safe. Chain Lakes down past Longview is amazing! 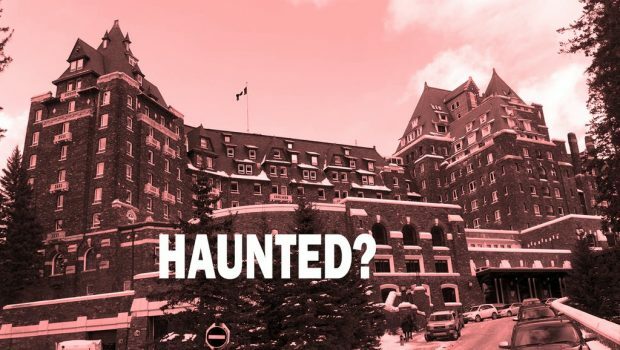 I’ve heard it’s pretty good out there. Haven’t yet had the chance to check it out myself. Will someday for sure, in a boat hopefully! Ahhh, the boating life. I wish. 99% of the time I’m out there, it’s shore fishing. Usually just use spinners and spoons. Just a note on McGregor: you may catch both Pike and Walleye, but you cannot keep either. Both species are catch and release only. McGregor is also not part of the special walleye licence program either, so under no circumstances can Walleye be harvested. Awesome! I love fishing but didn’t get to do any last summer. Good ole 5 of diamonds I my go to lure!